PUNE: People from across the world have made Pune their second home. The city is home to almost 1,000 Germans who live here and work in the city, that include expats and their families, volunteers and students. “Western Maharashtra is the birthplace of industrialisation in India and boasts of a strong base of engineering companies. The region is sort of a natural fit for German companies too,” informs Frank Hoffman, regional director, Indo-German Chamber of Commerce (IGCC). There is a strong connect with Pune since 1914, when the first German language departments at Pune University and University of Bombay opened their gates. 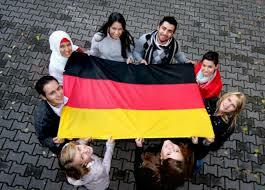 It is not just the language that attracted the Germans to this city, but also the rich culture. “There’s always something happening at Gyaan Adab, Lost the Plot, Film and Television Institute of India (FTII), Max Mueller Bhavan and Alliance Francaise to name a few and this city also has stunning forts and lakes dotting the Western ghats,” added Hoffman. The fact that Pune was also part of the Pune-Bremen partnership (Bremen chowk in Aundh was built as a symbol to celebrate the friendship), and that the city of Karlsruhe became a partner city of Pune a couple of years ago, the German industry people feel that city friendships are important to grow ties on a very personal basis. He also finds this city perfect to live a comfortable life. “The city in general is still not too big to get lost and there is quite a good number of Germans to meet from time to time to exchange experiences. The climate, most of the year, is very comfortable to live “normally”. In Pune everyone is so excited about the festivals and they celebrate it together with all enthusiasm which I really like to see. And I really like the way they are celebrating and enjoying life,” said Sander. “There’s a lot happening to promote bilateral trade with delegations going from Germany to Pune and vice versa. Max Mueller Bhavan is host to a lot of events promoting cultural exchange and the German Academic Exchange Service promotes academic exchange too. The 60th anniversary of the start of diplomatic relations between Germany and India were celebrated in a big way in 2013, with almost 1,00,000 people visiting the Indo-German Urban Mela, and here’s the annual Pune Oktoberfest organised by the Indo-German Chamber of Commerce which celebrates its 10th anniversary this year,” said Hoffman.